BACKTIME: Game Of Thrones: A Kingdom Rises in the West? SEC Media Days are over, the surreal reality show that it was, with everyone from ESPN to The New Yorker broadcasting and eavesdropping on the minutiae of conference that's produced the last 6 national champions. But as dominant and dynastic as the SEC has been, there's no room for complacency. Not only are there perennial powers in the Pac-12 (USC, Oregon), but the league is growing and innovating. The conference that already had offense chess-masters Chip Kelly, Lane Kiffin, and Steve Sarkisian just added three more icons of spread and tempo. Granted, all three have some baggage. Starting at Arizona, where Rich Rodriguez will hit the reset button on his career and bring the spread to Tuscon. Rodriguez was a West Virginia guy who found himself in no-man's land. This is all detailed in the book Three And Out by John U. Bacon. 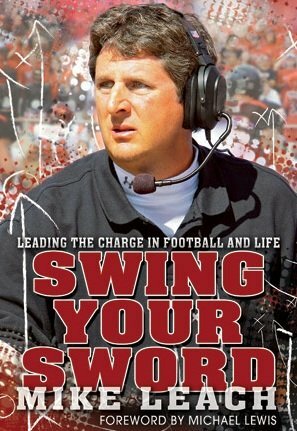 The book's subtitle says it all: "Rich Rodriguez and the Michigan Wolverines in the Crucible of College Football." The book is an eye-opener about the machine of the big university program. Basically it chronicles how Rich Rod became too big for West Virginia, but never fit the mold of a "Michigan Man," and was never really allowed to grow into one. The book details how events (and people) in Ann Arbor conspired against Rodriguez, and he didn't get the chance to see through what he started there. His success at every level of college football is undeniable, and the footprint of what he started at Michigan is still seen every time Denard Robinson tucks the ball and has the run or pass option. Arizona did well, and Arizona State was not to be outdone. 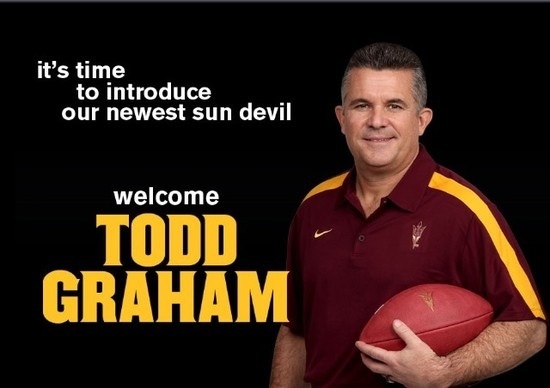 Enter Todd Graham, the coach whose no-huddle offense set records at Rice and Tulsa, and looked like the guy to turn around Pitt - until he bolted after just one year. Graham, a father of 6, now has to shake the reputation of a gold-digging opportunist. Not that he seems to care much what others think. He will have his Sun Devils conditioned for all conditions, and they became a better team when he set foot in Tempe. And then there's Wazoo. Pullman, Washington might be the hardest locale to reach in college football, but it shouldn't matter to a man who spent 10 years in Lubbock, Texas. Mike Leach's mind is isolated from the rest of the world, something he efforts to explain (and mostly succeeds) in his autobiography. Leach's system is simple - spread the offense enough so there's always more guys than they can cover. It's only how he explains it that's difficult. His success is also prolific - just check the numbers at Valdosta, Kentucky, and Texas Tech - with the one year he helped kickstart Oklahoma under Bob Stoops. It's reasonable to expect he'll do the same at Washington State. His reputation as a swashbuckler is perpetuated mostly by himself. And the circumstances around his exit from Texas Tech are still a source of conflict - legal action against former broadcaster Craig James, and the network that formerly employed him, is still out there. I won't comment on that but I enjoyed the unconventional book. Either way, the Pac-12 is fortunate to have all this spicy new blood in the league, not to mention Jim Mora, Jr. at UCLA. The SEC is still king until the king is dead, but the Pac-12 may soon be ready for the throne.